There’s no denying the fact that cloud adoption is on the rise. For proof, look no further than Cloud Sherpas’ 2015 Enterprise Cloud Report, which found that 82% of enterprises identify cloud technology as a key part of their IT strategy and 75% are already implementing or using at least one cloud application. However, there’s no denying the fact that many organisations still harbour concerns about adopting cloud technology. According to a 2014 study from IDG Enterprise, concerns about security (61%), integration (46%) and information governance (35%) top the list. While these factors have each co-existed up until now, we’ve now reached the point of intersection, as organisations now face the prospect of adopting cloud technology for falling behind the competition. As a result, it’s more important than ever to overcome any challenges that exist. But is it possible? The truth is, most organisations consider these to be greater challenges than they really are. In any case, you can overcome them with the proper strategy. With that in mind, here’s what you need to know about overcoming the top five cloud adoption challenges. When you get down to it, you’ll find that security concerns aren’t just confined to the cloud. Security has always been a concern in the on premise environment too, and with good reason, because we always need to keep security top of mind. As a result, security isn’t a cloud-specific challenge. That said – security is still a challenge. While we should never stop paying attention to security, there are many organisations that have had some roadblocks to overcome in this area on their cloud journeys. In most cases, cloud security issues have come about because organisations have failed to pay enough attention to or make enough investments in this area. Overcoming these security challenges is a matter of developing and enforcing a comprehensive security policy that addresses the data of both you and your system. System challenges include integration, interoperability and system availability, each of which presents its own unique concerns. Integration is another challenge that is not cloud-specific. In fact, the cloud can make integration less challenging due to the resources made available by SaaS providers. Knowing how to approach integration in the cloud is crucial, as this should be different than you would on premise. The key here is to take a more holistic approach rather than building point-to-point integrations as needed. Looking at interoperability, we do have a cause for concern. The best thing to do here is to understand that the cloud market is maturing every day and to examine your current IT landscape to determine what the best fit is for your organisation. Finally, we have system availability, which is mainly a challenge on the front end of cloud adoption, as it’s all about doing your due diligence when it comes to selecting your cloud providers. Leading cloud providers run services for thousands of businesses, so they should have high redundancy and failover plans to maintain availability. If you do your research ahead of time and make sure your provider meets your standards, you should not face any challenges down the road. We can also break down cost challenges into a few different areas of focus: Implementation, structure and ROI. Challenges around cloud implementation costs are another case of concerns that are not cloud-specific. There are costs that come with implementing any technology, and that doesn’t change in the cloud. What does change in the cloud though is the structure of costs over the lifetime of these solutions. Whereas on premise technologies typically require a one-time investment upfront, the SaaS model is based on recurring costs. This change doesn’t have to be a challenge though; it’s simply a matter of preparing for the difference. You’ll also find that many of the “hidden” costs that came with on premise technologies (e.g. maintenance, upgrades) disappear in the cloud. Finally, the idea that the cloud lacks an effective ROI is absolute perception. The ROI your organisation realises all comes down to how you’ve built your cloud strategy and whether or not you have a strong business case for adopting any given solution. But if you do, the ROI in the cloud is very real. This recent data from Salesforce and IDC is evidence of that. The truth is regulators do not typically prohibit the use of cloud technology. While you must pay particular attention to factors like data residency and security, once again this is not something that is cloud-specific. Meeting these requirements in highly regulated industries can be challenging, as it can be on premise. To overcome this, you need to do your due diligence about the regulations for your industry and region as well as what protections your cloud providers offer. Steps to take to help in this area include creating a cloud risk management strategy, engaging with regulators early on to discuss your cloud adoption activities, sharing any risk concerns with your cloud providers, managing any risks through ongoing measurement of performance and ensuring your IT governance framework contains a cloud strategy that’s aligned with your regulator’s standards. Some of the most common organisational challenges include fear of/resistance to change and a lack of cloud skills among IT teams. While both of these challenges are very real, the best way to overcome them is to face them head on. For example, looking at fear of change, you’ll want to introduce a change management programme that drives awareness and clearly communicates with users. In terms of IT skills, proper training can go a long way. Augmenting your internal IT team with an external partner can also help close any gaps. In general, educating your organisation on the value that cloud solutions can provide and dispelling myths surrounding the other challenges listed here can go a long way toward easing challenges in this area. Yes, cloud adoption challenges exist, but many of these challenges have existed for a long time in the on premise world too. While it’s important to identify challenges and pay them extra attention, it’s also essential to recognise that no challenge is strong enough to prevent cloud adoption. As outlined above, it is possible to overcome common challenges to cloud adoption, it’s simply a matter of proper planning and education when it comes to researching solutions and vendors, preparing your IT team and users and developing your cloud strategy. 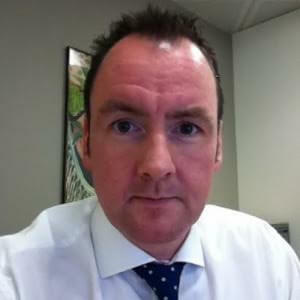 Fergus is an experienced business advisor whose core experience lies in the financial services sector. During a career spanning 20 years, he has partnered with C-level executives in global investment banking and asset management to drive strategic change and technology-led platform optimisation. ?Fergus has led teams across multiple geographies and time-zones and holds strategic technology leadership as a core skill. Based in London, he leads Cloud Sherpas’ advisory services for the EMEA region.